lt1 all the way !! yeah!! way to keep this place organized! ps - this definitely beats the snot out of the Real Paint Thread! But hey, at least I tried with the Real Paint thread. But this is way better than what I had going. Why is the Cyber Grey thread closed? It's supposedly not real Cyber Gray. It was a trick! 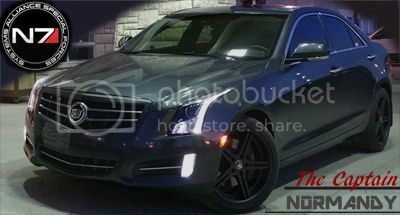 Seriously even if the grey part is 'real' cyber grey it's not a CGM Camaro and I was rather disappointed as I thought the thread meant pics had been released. It's probably a good idea to just leave it as is until real pics are out as it would just be a thread about how we don't have CGM pics. They really do have a nice selection of colors for the Camaro though, they all look great IMO. If I wanted to nitpick they could add a green (or two) but one is on the way, and a 'bumblebee' yellow would be a fantastic upgrade to the standard yellow being offered today. Yes I know the paint used in the movies is horribly expensive, they could get reasonably close though; especially with a relatively small RJT style upcharge. Last edited by Tal; 02-27-2009 at 10:54 PM. NOW I WANT ONE IN EVERY COLOR ! ! ! ! Thanks, we know this was not easy to pull together but it was worth it ! This is really the best idea ever... I've actually been wanting "all" of the colored pics together. Kudos to you, Tran! Job well done!!! Nice job Tran!! My first post since joining and so psyched I found the forum!! Ordered my IOM on 2/13 and now that I've seen some good pics of the RJT I'm having second thoughts.. Help me guys!! (Not a bad problem to have though)...LMAO..
You'll love the IOM! I don't like orange, and even i like IOM!! IM SO STOKED !!! I RECOMMENDED THIS A FEW MONTHS AGO!!! Some of the MODS gave me kudos and said they were gonna discuss!!! AWESOME my idea to fruition!!! Thanks The Captain for the IOM comment....I hate second guessing myself!! .....But the RJT is so sweeeeet also!! !